Discover what goes on behind the scenes at the Chiswick distillery when you take the Sipsmith gin tour and see how it’s made. London has a strong and colourful gin history and in recent years, Sipsmith has been at the heart of it. As an early pioneer of hand-crafted, small batch, boutique gin, their London dry gin is now popular all over the world. Visit their distillery in London and do the Sipsmith gin tour to find out how they did it. If you’re looking for a wonderful gift for gin-loving friends or family, buy the Sipsmith gin tasting experience and tour. You have the option to include a 3-course dinner at popular Chiswick eatery, Charlotte’s Bistro. Try the crab bruscetta – it’s divine. On the Sipsmith gin tour, you’ll learn all about the story behind this quirky gin brand. But to give you a little flavour, they are true gin pioneers. Back in 2009, they opened the first traditional copper-pot distillery in the capital in 200 years. On the gin tour, you’ll be introduced to their three copper ladies, Prudence, Patience and Constance. It took Sipsmith’s founders two years of campaigning to obtain a distillers’ licence but their battle paid off handsomely. Not only did their hand-crafted gin attract loyal fans to a brand that was a refreshing change from those controlled by the drinks giants, it led to the resurgence of London dry gin. Now gin enthusiasts can indulge in a multitude of gin tasting experiences and tours across the capital. Such has been their success, demand for Sipsmith gin now comes from across the globe. 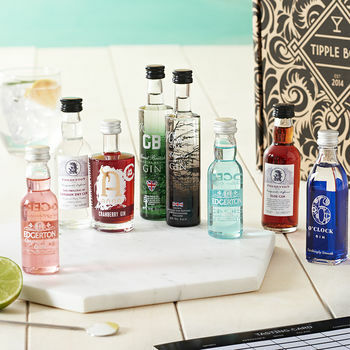 Inevitably, in late 2016, Sipsmith sold a controlling stake to spirits giant Beam Suntory but don’t worry, they continue to hand-craft their small-batch gin at their Chiswick-based distillery and it still tastes the same. Mr Hendricks says, “Please check with Sipsmith distillery directly”.